Our Baking Center, located in Milwaukee, Wisconsin, is a world-class center for baking technology and food science. At Lesaffre and Red Star, we take pride in our tradition of testing, learning and teaching—all so that we can provide you the very best yeast & ingredients for your products. Bringing bakers together to provide industry-leading yeast and ingredients—that’s been our philosophy since day one. It’s the reason why we’ve created a network of 26 innovative Baking Centers across the globe spanning five continents. 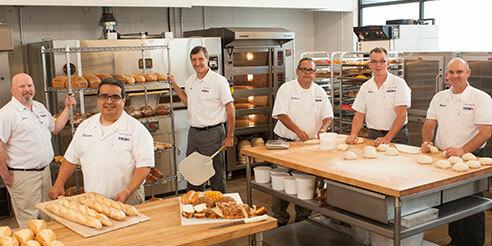 Through our renowned Baking Centers, we offer support and leadership to the baking industry. Our Lesaffre & Red Star Baking Center in Milwaukee is staffed by knowledgeable, skilled master bakers, as well as food scientists, all who have extensive experience in commercial baking and are recognized leaders in their fields. This unique facility and its expert staff serve as an invaluable resource for our company, our customers, and the baking industry. At the Lesaffre & Red Star Baking Center, our baking technicians perform small-scale replications of the actual processes and conditions under which commercial bakers work in a controlled and quantified way. Designed to enable our baking experts to effectively prepare products under recommended usage and procedure conditions, as well as under stressed conditions, the Baking Center is equipped to produce virtually every major yeast-raised product using any commercial baking process. Our baking centers are about more than just the baking process, they’re about the science of baking. Our Milwaukee facility is equipped with sophisticated equipment for scientific testing of yeast, flour and other baking ingredients including an amylograph, farinograph, risograph and Hagberg. The tests our team of experts performs not only help Lesaffre and Red Star develop new innovative products that meet market demands but help guide our baking partners to successful product formulations that solve their baking challenges. Strong relationships and a mutually beneficial exchange of information have always been the recipe for success in business. 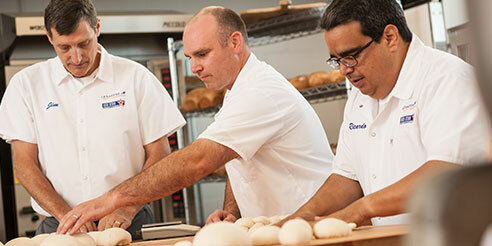 At the Baking Center, we host demonstrations and collaborative working sessions with customers. Our experts inform bakers—from small retail bakeries to large wholesale operations—on the techniques and benefits of Lesaffre and Red Star products. Additionally, the Baking Center also serves as a resource to connect North American bakers with their counterparts throughout the world, opening the door to opportunities to develop overseas markets. 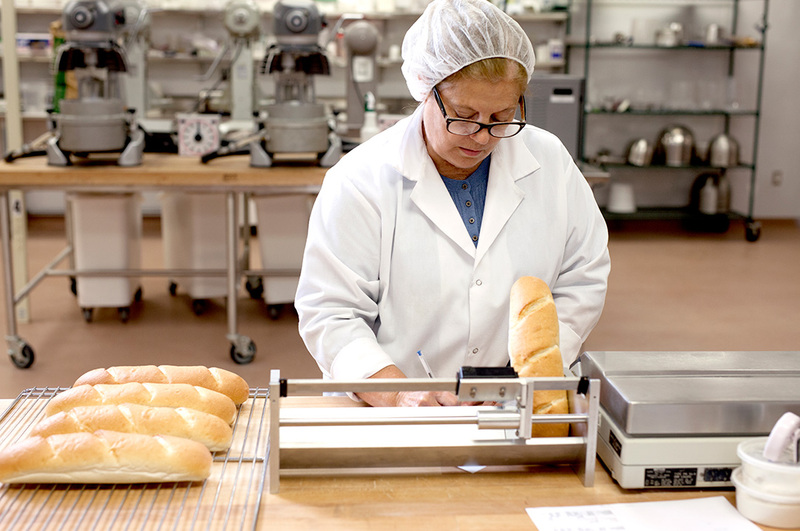 Together we work with bakeries of all scales to perfect product formulations to yield consistently superior products. Consider the Baking Center as your unique and powerful baking partner. Together, let’s collaborate to address and solve your real-world baking challenges, and consider new ideas and possibilities. Contact the Baking Center today to connect with a member of our world-class technical team to set-up a hands-on problem solving or research session. For those on the east coast, we invite you to collaborate with our expert technical team at our Food Lab in Piscataway, New Jersey. Fully equipped to work with your formula and your team, our Delavau Bakery Partners by SafPro® group provides turnkey and tailored ingredients and technologies with comprehensive R&D support. Join us at our Food Lab, where we develop new and improved ingredient systems, perform structure-function research using model systems, and partner with nearby universities for sensory evaluation. Learn more about our Food Lab in Piscataway, New Jersey.